And you got a reply some minutes ago. My copy of 'Nuwa' just arrived & immediately obvious it was shagged before I broke open the package. Unplayable, even with a counterweight. To be honest, I am speechless and feel me very sad for the ones like Somberlain and JustCallMeBill that received the vinyl is those insane and fucked conditions. Hope there is not more cases like this. For the moment I have to say again, Ido not see posible send new vinyl as it was a limited press of 100 copies that are sold out from our side since some weeks ago. You also got a reply many minutes ago. Posted: Thu Feb 21, 2019 9:48 am Post subject: Re: Primitive Outburst Released ! Don't forget that there are still few "Primitive Outburst" copies left, grab it before it's too late. 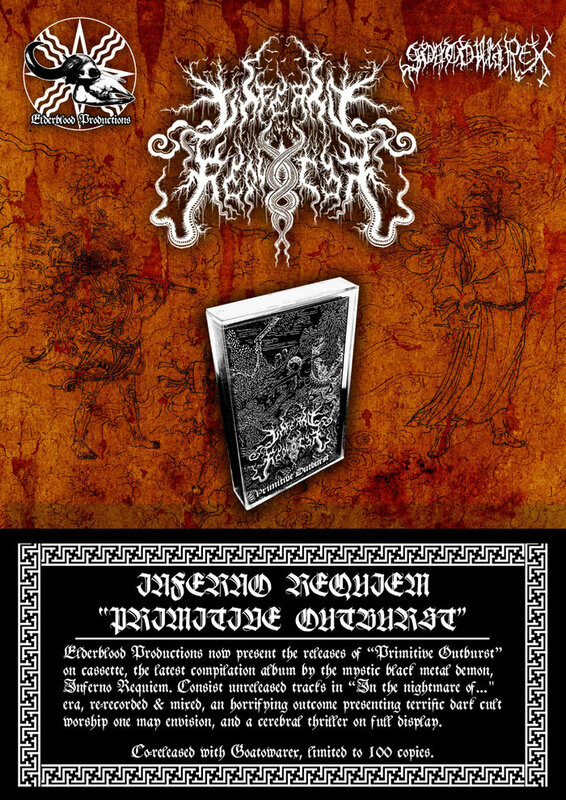 [quote="elderblood"]Don't forget that there are still few "Primitive Outburst" copies left, grab it before it's too late. follow the label's page to receive news/updates! Any plans for a moon LP repress and a Primitive Outburst LP version? Inferno Requiem - Moon review in French. Elderblood Productions now present the releases of “Primitive Outburst” on cassette. Co-released with Goatowarex, limited to 100 copies, less than 30 left. 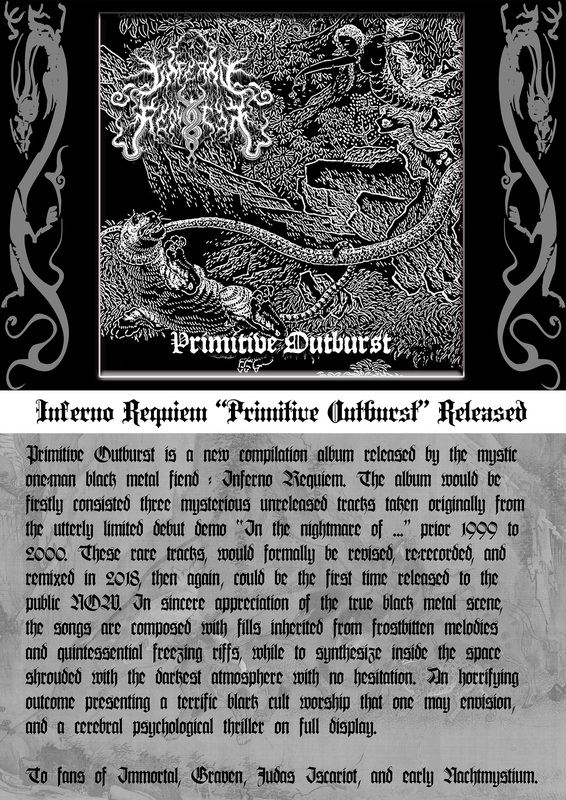 Inferno Requiem on Raw War Magazine, distributed by Darker Than Black Records, check it out if you haven't, support underground black metal !